If you’ve been curious about the Get Fit Done Guide, but haven’t felt ready to commit to the entire 4-week Get Fit Done program, we have good news for you! Next week, we’ll be starting the Get Fit Done 7-Day Reset! It’s a Plan you can do in just 7 days for quick results! Good morning friends! 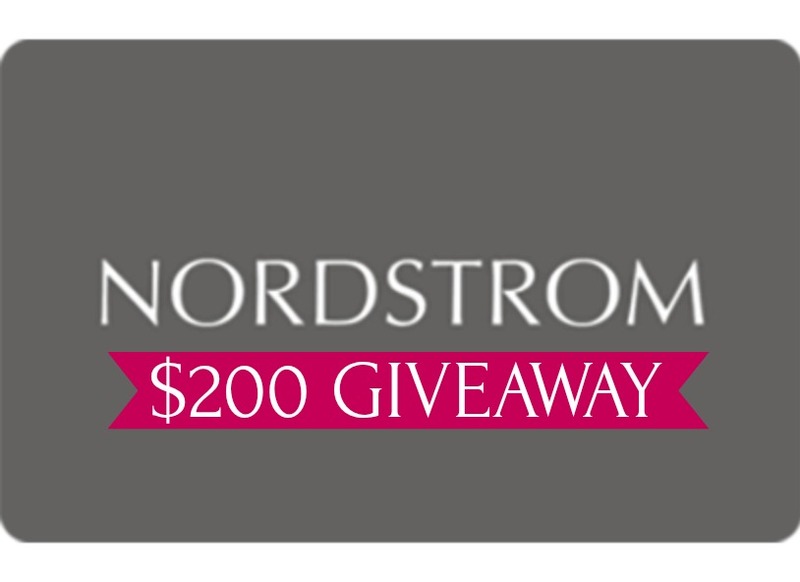 I’m popping in with a special post, giving YOU a chance to win a $200 Nordstrom gift card! Maybe you grab something from the new Gibson x Hi Sugarplum resort line or a Valentine’s Day treat for yourself, or whatever your little heart desires! Join the Get Fit Done Challenge! Take a picture now! If you haven’t taken your ‘before’ picture yet, do it today! 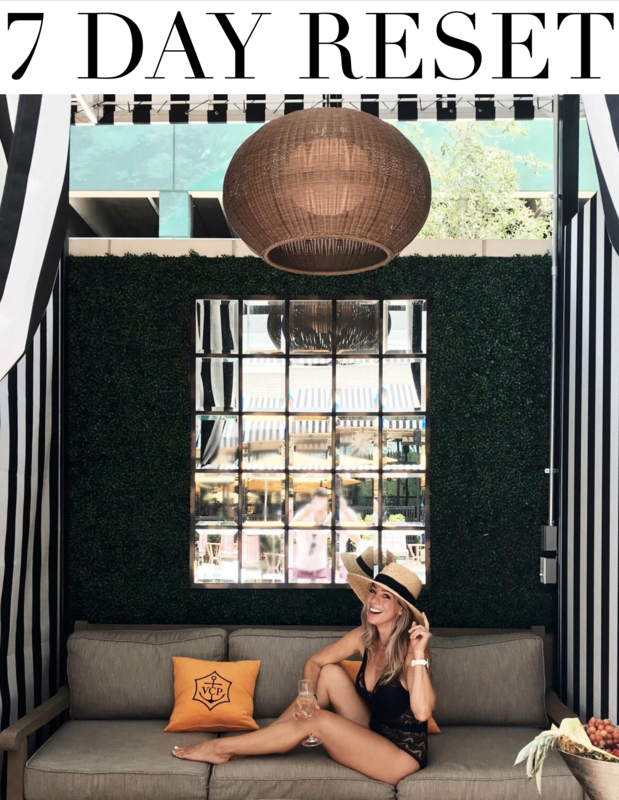 If you’ve been following along this week, your body is already experiencing some changes (aside from being sore from all those pushups;) and we want you to see a difference from the day you started! 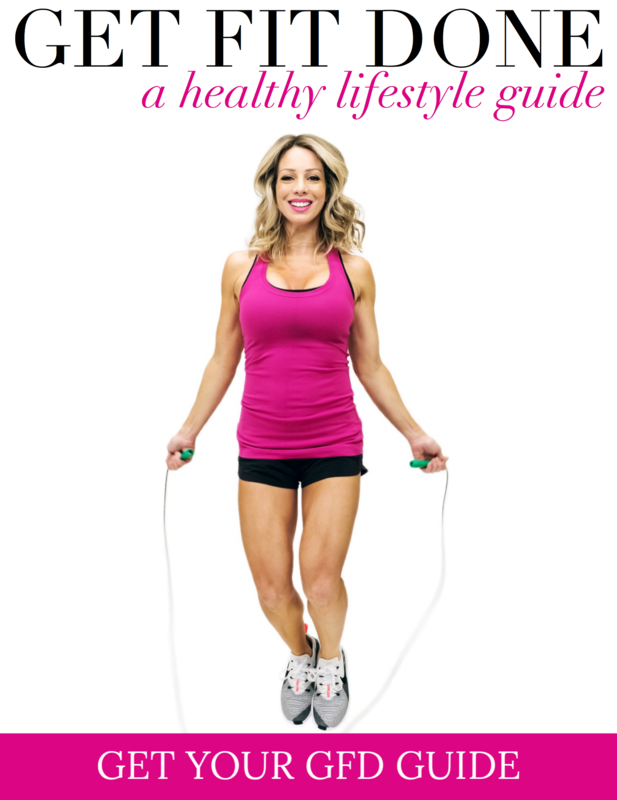 As most of y’all know, the last few months Cari Shoemate and I have been hard at work preparing a fitness eBook that you can use to make this your best year ever! Something about December and the holidays causes all rational food behavior to go out the window and it’s suddenly gimme everything I want and ALL the sugary desserts. I 100% went overboard on my eating in December and woke up on January 1 feeling lethargic, bloated, and heavy. Happy new year! Well, that’s actually right because I know for sure that even when we get off course or indulge, we can take control of our lives and health at any moment, starting RIGHT NOW! Good morning friends! I’m waking up so very excited to announce something BIG with you here! Especially in this last year, I’ve had a deep desire to CREATE something of meaningful value and spread my positive message of Take Care of You further. Those of you that have been with me for long, know that my dear Grandma Nola is responsible for helping me realize that taking care of ourselves isn’t selfish. It’s necessary and a form of self love and self respect. What a gift she gave to me! Good morning friends! Now that we’re approaching the end of the year, things can get kind of hectic and it’s more important than ever to keep up with our health and fitness. Ain’t no one got time to get sick and with all the holiday excitement and activities, we want to be on our A-Game! 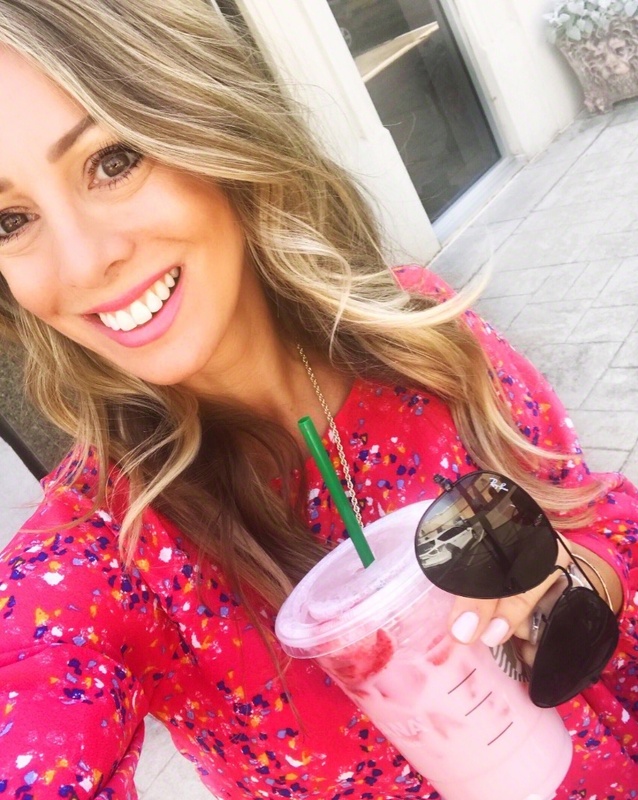 I try to start my morning off on a healthy foot each day, and I’m happy to share my healthy morning routine with you! Waking up early in the morning is of the best changes I’ve made in my life. Hello friends! What a whirlwind of a weekend! Coming home from traveling meant lots of catching up on household things and getting ready for the new week ahead. On Saturday night, I got to see Taylor Swift in concert with Shannon and Trisa and it was such a treat! Her show was amazing and we danced all night like we were 16 years old. Only problem with that is that I felt about 100 the next day! I slept til 10am! It was actually the sweetest thing at the concert seeing all the little girls there sooo excited to be at a Taylor Swift concert. My emotions are running high this morning because we are traveling to California to visit Grandma Nola today. I’m so excited to see her and for her to meet Jordan for the first time. I think Grandma will see a mini Megan in Jordan and that the 91 and 2-year-old will really hit it off. I just started bawling typing this, but it’s just because there’s so much love there. Grandma Nola has been such an influential person in my life and I’m so grateful for her. I’m going to try very hard to stay in the present moment while we’re there and soak it all in. Hi friends! Welcome to Week #2 of our HWH Fitness Challenge! I hope you got your MEAL PLAN in my Weekend Newsletter and are ready to go! Subscribe to my Blog & Weekend Newsletter HERE so you never miss a post or meal plan! There will be a new one each week. If you haven’t joined us yet, it’s not too late to start. You can take control of your health and your life right this very minute. We’d love to have you! Today we’re diving in to Fitness Challenge Week #2 and focusing on how to meal prep for the week along with a running guide! HWH Fitness Challenge Week #1 + Free Fitness Tracker! Hello, hello! 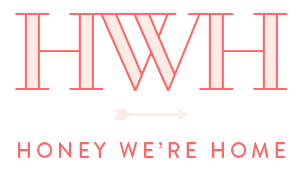 It’s the day we’ve been waiting for – the 2nd HWH Fitness Challenge launches today! Cue me doing a little happy dance over here! I’m so excited for this and I know you are too! It’s just what we need before heading into the holidays and end of the year to keep us on our game. I’m even including a free fitness tracker to help you stay on track with this month’s fitness challenge! Are y’all ready for another 30-day fitness challenge?! I definitely am! We’ll be starting Round 2 of the HWH Fitness Challenge soon, so I want to get you ready for it now! It’s absolutely FREE to join! Sign up here by subscribing to my blog and Weekend Newsletter! Join the private Honey We’re Healthy Facebook Group to be a part of the HWH Fitness Challenge Community! Hi there! How’s your week going? I’m getting over a stomach bug, so moving kinda slowly, but still managed to head to Nordstrom yesterday to do some Anniversary Sale beauty research! Thank you so much for your suggestions yesterday, they were really helpful. I will admit, that mirror might be a little too up close and personal! I’m not sure I want to see my face that big! Ha! Get a sneak peek at what I found on Stories! Lots of good stuff! Today I wanted to share with you my top Nordstrom Anniversary Sale activewear picks! I will announce the (3) $100 Nordstrom gift card winners on Friday! Can you believe we’ve made it to the LAST DAY of our 30-day fitness challenge?! That is worth celebrating with my friends! I’ve never done something like this on my blog before, so I’m honored that you joined me in this fitness challenge. We had participants from all over the world – and over 1,000 people logging their exercise! I love that it gave you all the fitness challenge ideas to workout every day! Hi friends! How was your weekend? I spent the last 3 days in the beautiful town of Denver, Colorado celebrating my best girlfriend’s 50th birthday. We had a great time being together and exploring the city. The weather could not have been more perfect, especially when you’re used to the blazing heat and humidity of Houston, Texas! I swear, Denver is one place I wouldn’t mind moving to! The scenery is gorgeous and there are so many active things to do.